You are here: Home > T-Mobile Branded HTC One X+ Leaks, But Will It Ever Launch? T-Mobile Branded HTC One X+ Leaks, But Will It Ever Launch? At this point, I have to wonder if this image of a T-Mobile branded HTC One X+ is more of a tease of what could have been, than what will be? With the removal of the HTC Era 42 from T-Mobile’s roadmap and our own sources calling this device both “canceled, or indefinitely delayed,” we’re finding we aren’t the only ones to hear the something similar. The image, courtesy of the @evleaks Twitter account, doesn’t tell us anything other than the device would/will arrive in black. For now, we’re sticking by our sources and guessing the decision to launch the One X+ is dependent on a few variables. For one, it would almost certainly cannibalize remaining inventory and future sales of the One S, not to mention distract from HTC’s efforts to put their “hero” Windows Phone 8X flagship device front and center. On the other hand is the possibility the One X+ didn’t pass T-Mobile’s testing process, or the decision was made to focus on other yet-to-be-announced smartphones. Of course, it could be none of those things and it ends up launching after all, we just don’t know for sure. The one thing we do know is that we like to be much more certain about these launches than we are about this one and I know you do as well. If there is one thing we do know, the appearance of a branded device tells us what we already knew and already believed, that it was in testing. I still can’t help but think how popular this device would be on T-Mobile among the Android diehards looking for a true competitor to the Galaxy S III that isn’t named the “Galaxy Note II.” So keep your fingers crossed. Why even bother with the HTC One S if you’re going to put out the HTC One X+ right behind it? Why not just release the HTC One X instead? 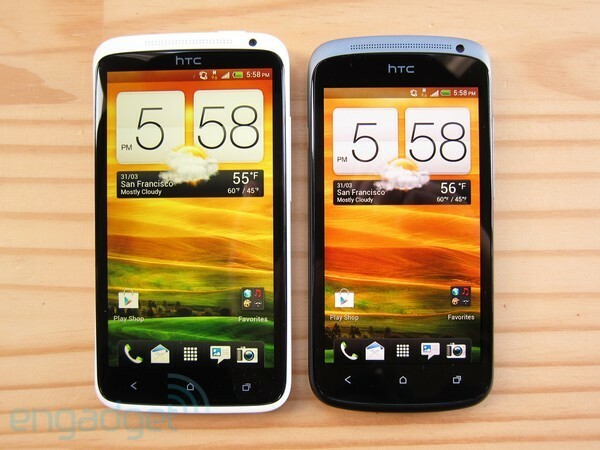 I like the HTC One S, but I would have much rather had the One X. Now that I’m locked in to this phone for another two years, releasing a One X+ now is poor timing. Removable or REALLY LARGE battery. And removable memory card. 2 things that have set Android devices apart and provide for more control and customization. Oh man I want this phone so badly! TMo would be foolish to pass this up and not offer their customers a high-end alternative to the GSIII. I played with the GSIII a few times and it’s not a bad phone, but I always preferred HTC’s build quality. I really, really hope that they can work out whatever issues there are and make the hox+ a reality. The best build quality of any Android manufacturer that delivers here in the States, or at least in my opinion! When I get my hands on the Note 2, there wouldn’t be much point in keeping the gs3 as they’re too similar. I really want a device that is beautiful, & people admire as they do the build quality of the iphone! The Nexus was my choice as the secondary flagship, but if Samsung builds it, I’m sure it won’t be easy on the eyes, lol. This HTC on the other hand, I know will be a 10 on build quality! Same here, this is the phone I’m waiting for, the S3 is a distant 2nd place for me. I really think the One X+ would be the best phone out there. I’m planning for the Note 2, & I already have the money aside. However, my gs3 will be going on ebay once I have the Note. If this device is in fact coming, I will consider using the funds received from the gs3 towards the the new Nexus, or possibly this. I know HTC has the ability to make a Tmo branded phone that could drop our jaws! Wait for the upcoming Nexus phones to be unveiled next month. A phone is as good as its latest Android update. heck even the very old Nexus S already has Jelly Bean. The Nexus S may have jellybean but better than the Galaxy S3 it’s not. Sooner or later hardware has to matter regardless of the software that’s being provided. No current Galaxy Nexus devices will ever compare hardware wise or even software features than the current Samsung Galaxy S3 or upcoming Galaxy Note 2. Hey moron, he didn’t say it was “better than” the Galaxy SIII. In fact, he didn’t even mention any specific phone other than the Nexus S. Can you read? Stop with the childish name calling, just make your point. Could this have anything to do with the possible HTC Nexus? T-Mobile needs choices for their customers. T-Mobile needs the best devices if they want to steal customers away from the other Carriers. People are always looking for a great deal, if you give them a great plan with great choices and great hardware they will come. All customers don’t want the SGS3, I think it’s the best phone in the world, I have had them all, this new HTC device is a beast and would prove to attract new customers to T-Mobile. This is a phone that T-Mobile should jump all over, right size, great specs and the HTC build quality is always top notch. IMO the best feature of the HTC phones is their radios, they have the strongest radios of all other phones. You do know the phone has an integrated radio in the S4 chip, right? The same S4 chip in the S3…? Unlike samsdung HTC likes to test their products throughly rather than rushing to the market with design flaws & buggy software that constantly reboots & needs to regularly be patched. In other words HTC aspires to innovate while samsung desires to simulate. The proof is obvious samsung scores lower in customer satisfaction. I need this phone and thought it would be released today =( I don’t like any phones that aren’t HTC and t mobile to be the best for your money but Im not switching till they carry this phone. Just waiting…. I applaud Tmobile for it’s testing process that exist on every device. YES Tmobile wants to provide the BEST handsets for it’s industry leading plans for it’s customers. But Htc needs to provide BETTER devices it’s not all about build quality. How about battery life, internal/external storage??. Htc has been conducting business with Tmobile over 4yrs now and they should know what the process is for the devices that are available and sold on Tmobile’s network. If the Htc One X + fits this mold then it will appear on the network. One thing about Samsung they know exactly what Tmobile wants for it’s customers and they provide the goods and there products pass the rigid testing Tmobile provides on it’s devices. A excellent product that works equally as well as all the others on one solid network is the best experience for everyone Htc needs to STEP UP IT’S GAME plain and simple. HTC fans don’t want to hear this harsh reality, but the man is right. I love HTC, but there’s a reason why their market share has shrunk considerably. They’re not innovating the way they once were. Look at the Galaxy S3. Removable battery, micro-SD, larger battery than the One X. These are all the things consumers want. The carriers saw the way the S2 sold & it gave Samsung the clout they needed to do what they wanted with the S3. They were able to be the first manufacturer to release a phone across all 4 of the major carriers unchanged. That’s huge because the S3 will now easily be the highest selling Android phone of all-time. HTC could only manage to release the One X on one carrier & the One S on another. That’s just lame & obviously not the way to make gangbuster sales. If they start innovating again or even just start making phones that can go toe to toe with all the other flagships in EVERY aspect, maybe they’ll be to attain the clout that Samsung now has. I hope it happens, but they need to start now. HTC did innovate this year. Where the hell have you been? The x series is a fabulously innovative device. They just didnt get mass release on all the major carrier in the US. And thats because they had an exclusivity deal with At&t. Sprint got to alter the design of it.And it didnt come to tmobile or Verizon.If they’d stop allowing the carriers to alter the design and give them all the same one then they could possibly have a uniform launch among all the major carriers. But they dont seem to have the pull that Samsung and Apple do in order to make this happen. Blame the carriers not the manufacturers. There’s no denying that the One X is a great device. It’s awesome. But, please explain to me what is so innovative about it. It’s stands very high on a number of different fronts, but there’s nothing in particular it does that stands out among the competition. You want examples of innovation? How about Motorola’s MAXX battery? How about Nokia’s Pureview? To a lesser degree, how about Samsung leading the way with future proofing devices with 2GB of RAM? Or Pop-up play? Or S-Voice (I realize it’s not very good, but at least they tried)? The S3 is the most feature packed Android device ever until the Note 2 debuts. And in regards to your point about exclusivity, it’s a detriment to HTC. Signing a deal with AT&T is silly because all you’re doing is limiting the number of people who can purchase your device. I am blaming HTC. I’m blaming HTC for not including a larger, removable battery. I’m blaming them for no micro-SD. I’m blaming them for not trying anything particularly groundbreaking or new in the last couple years. I like HTC & I want them to succeed, but they need to stop misstepping if they want that to happen. Please list all the innovative features the HTC One series had. Best display for one off the top of my head. Deny it if you like but many tech blogs listed the One x as having the best display of any mobile device when it first came out. And thats including the SG3. While the display is heralded as the best, I would hardly call it innovative. Besides, the LG Optimus 4x HD has the same screen. i said innovative. Putting more memory, a faster processor, or better screen is not innovating, it’s a normal, expected step in tech. I agree, the S4 One X lasts longer than the Tegra 3 one. Nexus or nothing. Although the one x is the most beautiful phone. I seriously doubt Tmobile has any say whether this device comes with Sense or stock Android. I think that may have been been partly Google’s hand. The G2 has ‘with Google’ branding on the back while the HTC Desire Z lacks this branding. The Desire Z is the device name in other markets. Ha I agree. Just a terrible front profile shot isn’t enough, unless there was something to compare to. yeah… T-Mobile already pays HTC for the handsets right? and then sells them to us for to make a profit right?.. or is that only how the iPhone sells? Almost all wireless carriers take a LOSS on your equipment when they sell it to you. Seriously, I don’t understand why you’re spreading disinformation. No, carriers do not take a loss on retail equipment. What makes you so sure? To my knowledge, carriers generally do take a loss on equipment and then make up for the difference between their subsidy pricing and retail pricing on the plans. They do… its clear with T-Mobile Value and Classic plans. Classic: Cheaper phone, higher rate plan. Value: No phone, cheaper rate plan. Unless T-Mobile likes to make higher priced plans for the hell of it because they already make “tons of money” on subsidy equipment, I’m pretty sure the answer is clear. The profit margins on the device for the OPERATOR are slim to none when you just buy a phone outright. When you get it subsidized they take a loss and hope to make it up on your service plan. T-Mobile’s current ETF is only $200 so if they gave you a $500 phone for $200 and you cancel they’ve still lost $100 out of it. Also, operators aren’t in the business of selling phones they are in the business of selling SERVICE. That’s why you won’t see any carrier pushing discounts and sales for customers looking to just buy a phone outright. Every phone sale is attached to a contract or service plan in order for it to be the least bit appealing to the consumer. That’s literally what I said… They make money on the plan, not the phone. I have been basically stopped from upgrading. If they don’t release this device. They are complete fools if they cancel this device, especially if the reason is because they don’t want to “cannabalize” sales of the One S. The One-S was a good device but what pissed me off is the fact that T-Mobile was fine with getting the mid-tier device instead of the top-of-the-line One X. I’m tired of us getting subpar phones and getting phones late. Release the One X+ and offer both the One S and X+ so consumers can choose between a flagship quad-core phone with a 4.7 inch display or a cheap alternative with a 4.3 inch display. And the One X+ will give the S3 (which I currently own) and the Note 2 (which I want to sell my S3 for) some competition. Exactly. While I always like to have the latest and greatest, some people, like my gf, parents, some friends, just want a quality phone that isn’t super expensive. The One S fits that, alot of people are like that as well. 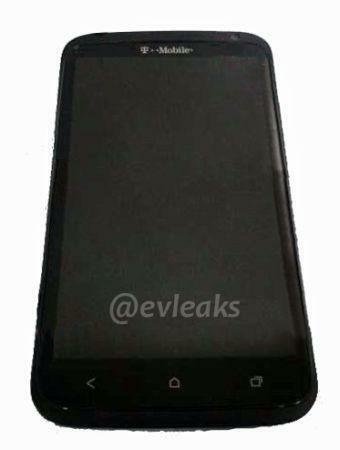 Isn’t it possible that this could be one of the 5 Nexus phones that Google wants to bring out? One could only hope. HTC has a different problem that is hard to overcome. Samsung was successful in pushing the Galaxy branding; they’ve pushed this branding over many devices and were able to use global success to push domestic carriers accept virtually the same device. This doesn’t happen that often, the first phone that I can remember that all the carries seemed to really want was the terrible Motorola Razr, following that in my memory was the iPhone. I know there were a bunch of Nokia candybar handsets, but they all had little variations between carriers. The Galaxy S3 is a big deal because the phone was a global phone that was largely the same everywhere. To compete on that level HTC needs a device that speaks globally, and I don’t think they are big enough to do that. Samsung accomplished what they did by being big enough and being diversified enough to pull it off. A true competitor to the G3 is the Nexus! Plain & Simple. My last phone was the HTC Sensation. I loved the design, quality and feel of it, but the design has gotten a bit old. The Nexus 4 has the same build quality(except that dam fake metal band) but its a much much lighter phone. Very sleek with clean lines. Also, touchwiz just looks so generic to me on galaxy phones… I know you can get a theme, but get a life, AINT NOBODY GOT TIME FA DAT! And its much much cheaper! Whoa I can shout on that right there! As a current HTC T-Mobile G2 user and loyal customer for 7+ years, yes, it was extremely disappointing to see it teased then not released. I still have hope, but that hope is wearing thin. Meanwhile, my frustration and disappointment with T-Mobile for NOT releasing the One X+ is quickly approaching critical mass!